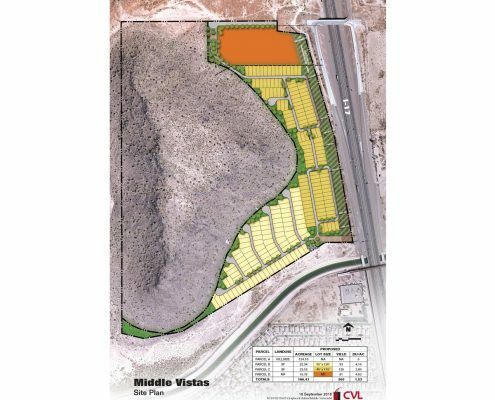 Project Description: Middle Vistas is a proposed mixed use development located at the northwest corner of the Interstate 17 (I-17) and the Central Arizona Project (CAP) Canal, south of Dixileta Drive in Phoenix, Arizona. The development consists of single family and multi-family land use. The total site area is approximately 196 acres. 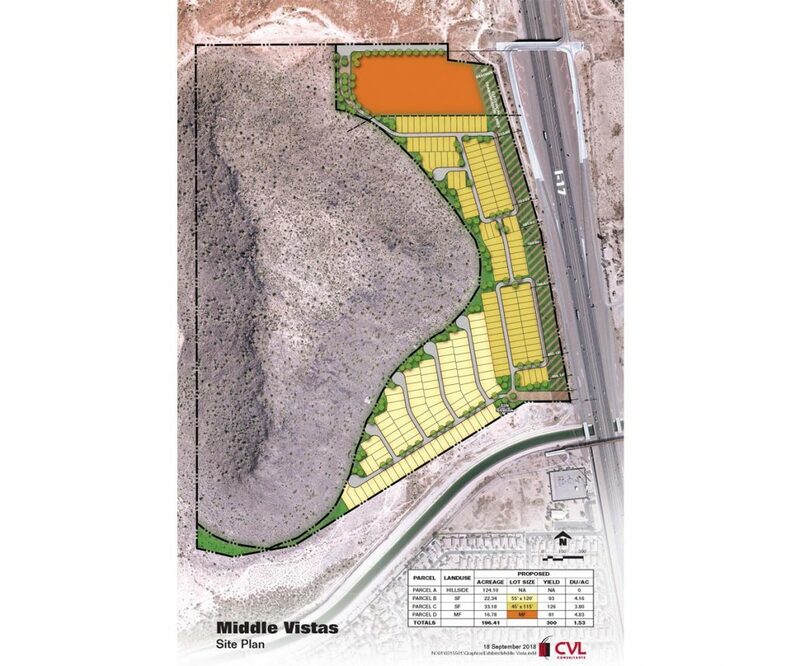 A portion of the site, 124 acres, is hillside where no development is planned. There are 280 lots proposed within the remaining 72 acres. The main point of access to the site will be via Dixileta Drive. The existing half interchange at Dixileta Drive will be modified to allow traffic to exit I-17 north bound and enter I-17 southbound at Dixileta Drive. There will be a second point of access off the I-17 frontage road, just north of the CAP canal. To accommodate development within this area, an onsite lift station will be designed to allow for the proposed wastewater lines to cross south under the CAP canal.